Anybody tried resting the end of the barrel on the rest. I did and was surprised at the results. Poi moves up, but accuracy is deffinetly improved. I don't know if theres any down side with pcp guns. Powderburners would probably not be a good idea, also a springer might have issues. The reason I tried it was the barrel with the muzzle break would wobble around . I didn't notice before because normally I'm looking through the scope, but Wayne was by the other day and I was behind him when he was shooting, and noticed just how much the barrel actually wobbles. 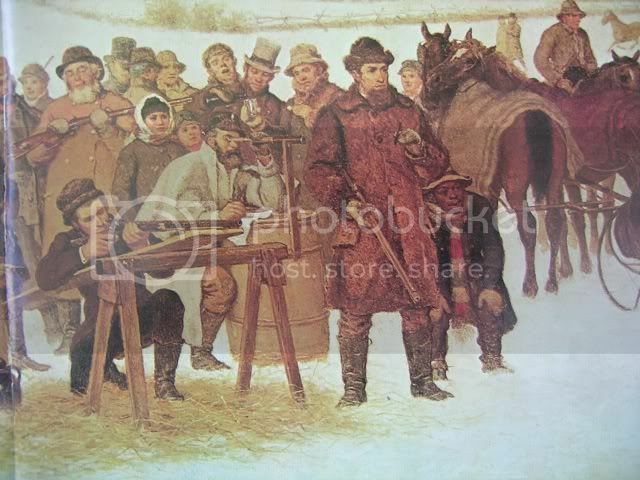 'chunk shooting'- again with muzzleloaders. It is not normal to attempt to use this with lightweight barrels as in modern rifles. 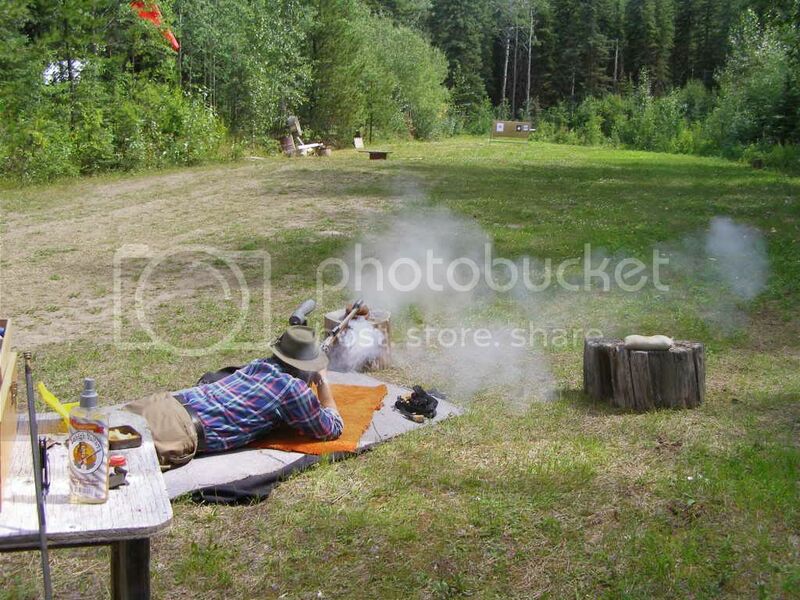 Dan, in the top picture is shooting his McLellan barreled 18 pound .50 cal. 'plank rifle'. 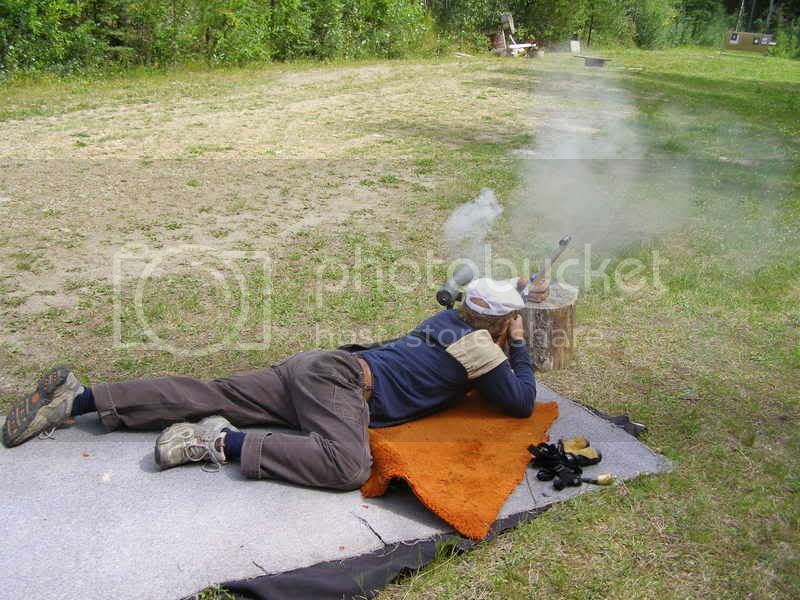 The rifle is unfinished in this picture, being it's first competition, however it's now 3 years old and has NEVER been defeated in this match. Here's my brother Taylor, shooting off a chunk. Me, shooting off the same chunk. Note, if barrel resting, one must move it back and forth while testing, to find the "MOST" accurate position. 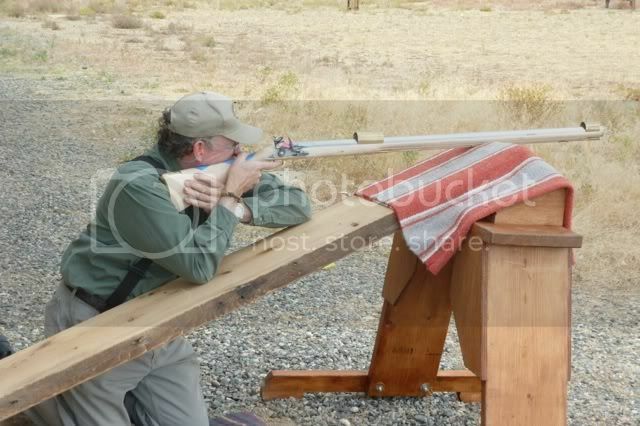 With my rifle, I found later the "sweet spot" was at the 1st RR pipe. In this picture, I was resting it on the forend, just back from the first RR pipe. The less stress I put on the barrel the better. I was always taught to never let the barrel touch anything. But if you can make better groups with it touching, so be it! I think your muzzle brake maybe be too heavy acting like a pendulum, increasing the whip of the barrel. I deffinetly agree. I didn't think to try shooting without the break and watch it. I am also going to find a way to clamp everything solid for a test. Some foam on a couple of 2x4s with c clamps, so the barrel and action are completely un flexible, zero movement. If it works, I may design a full length one piece stock and glass bad everything.